BALIF - BALIF Law Students Kickball Bonanza! BALIF Law Students Kickball Bonanza! 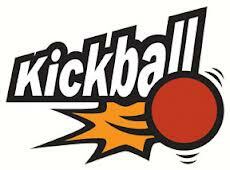 game of kickball on Saturday afternoon, October 13th at 3pm. We are gathering at Eureka Valley Rec Center (which is on Diamond in between 18th and 19th). After the game there will be free pizza and beer just around the corner at Toadhall! Also, the first 18 to email lawstudentrep@balif.org will get their very own BALIF T-Shirt!! See you all there.